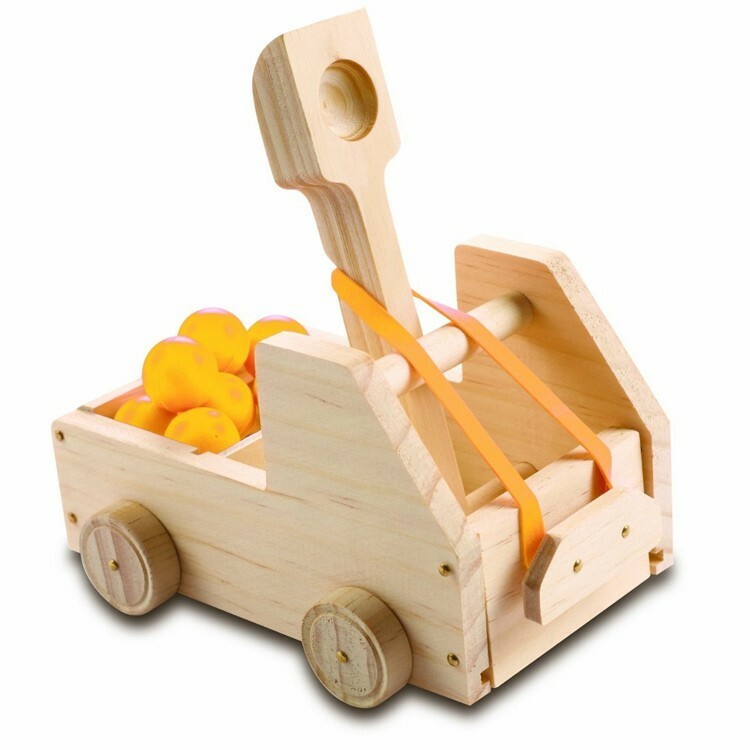 This Stanley Jr. woodcrafting project for young carpenters comes with all the materials you need to build a shooting catapult vehicle. 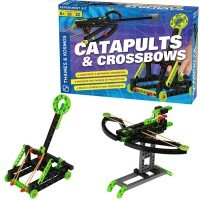 Knights, pirates and action figures will be really involved in action with this make-yourself catapult. But most of them, your child! Now he/she can build a real wooden truck with the enclosed catapult to enjoy action all the way! 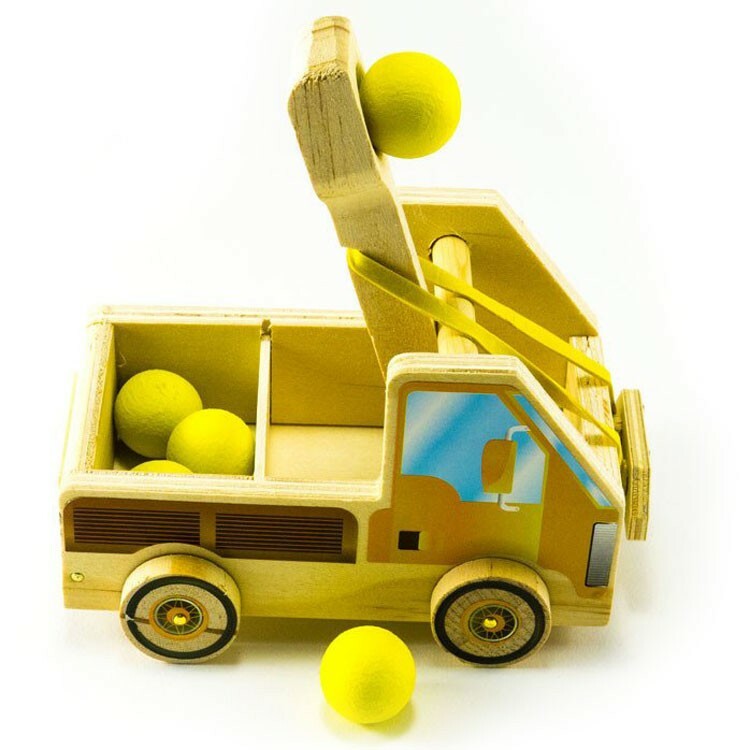 Kids Truck Catapult Building Kit by Stanley Jr. features a wooden truck with a mounted catapult and perfect-size balls to ready... aim... and shoot! 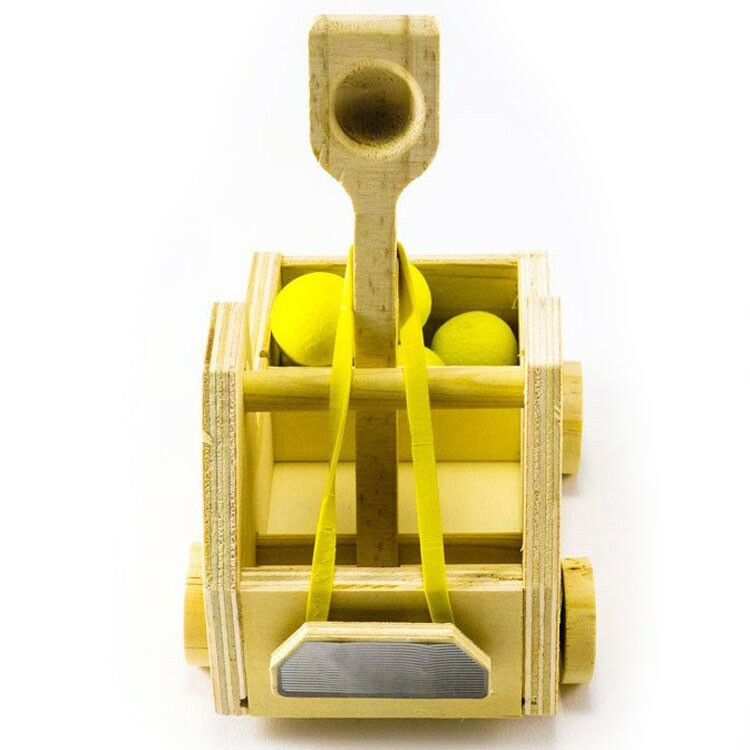 This woodcrafting project for young carpenters comes with all the materials you need to build this catapult vehicle: wooden parts, decals, paint, brush and 3 shooting balls. 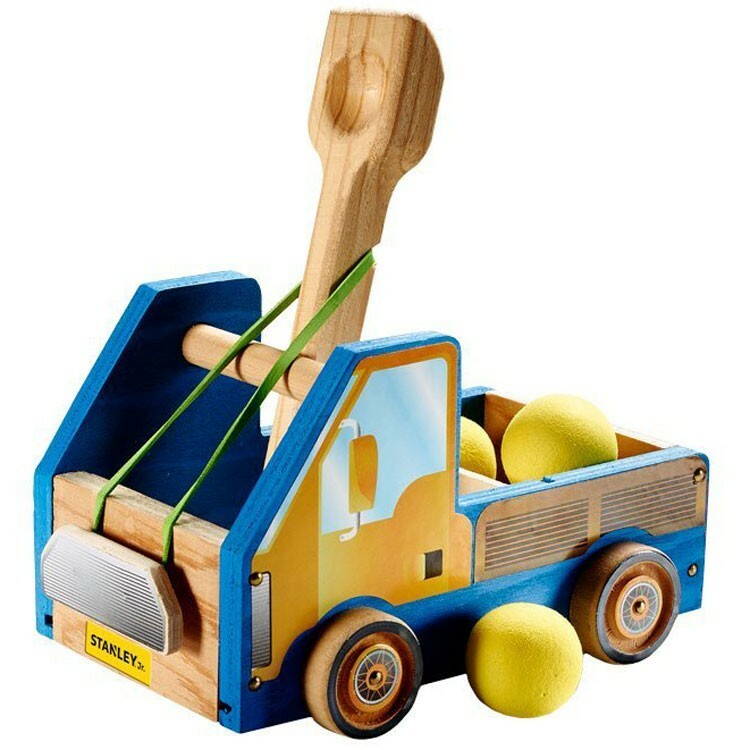 Just add your own tools (or buy the children-sized tools from Educational Toys Planet) and some patience to create your own truck catapult. 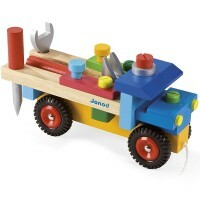 The finished wooden truck measures 5.9 x 3.8 x 3.5 inches. 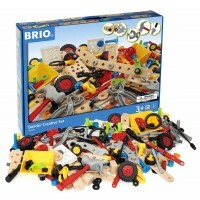 Are you ready to build? 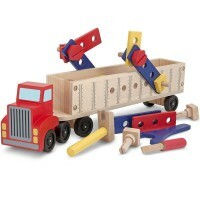 Dimensions of package 5.9" x 3.54" x 3.77"
Write your own review of Truck Catapult Building Kit. 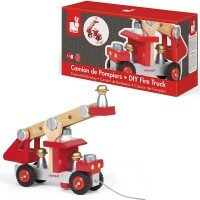 Rating: 5 Perfect little gift! 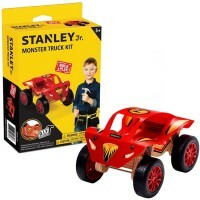 by Elly This truck was a big hit: first putting it together and then... obviously, shooting everyone in sight!!! 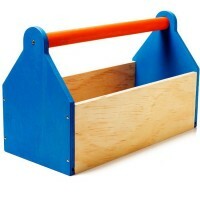 We had those balls all over, but this is the toy tha definitely got a lot of play-time and excitement. 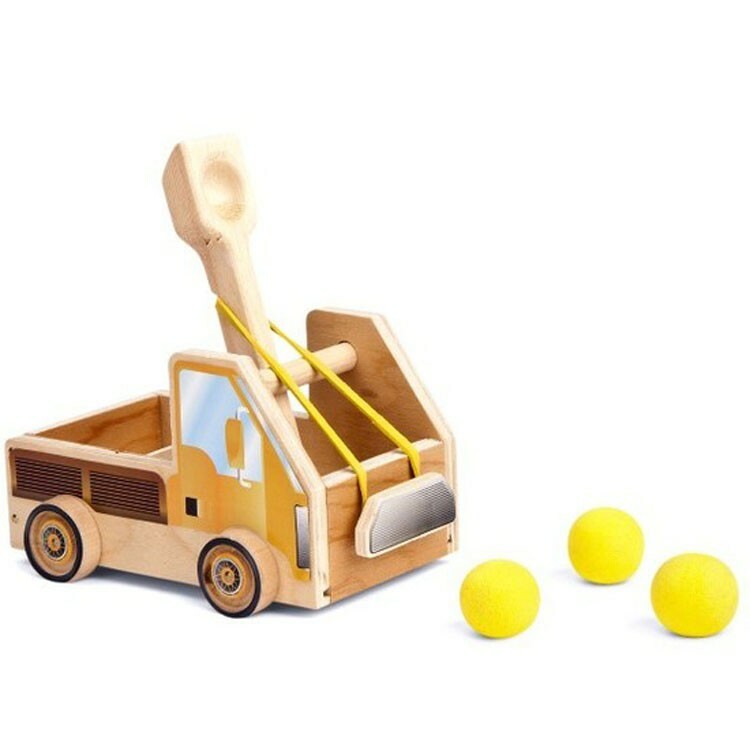 Rating: 5 Truck Catapult by Grandma My grandson loves it. 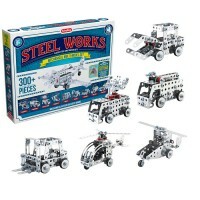 With direction from his mother, he put it together himself!!! He is so proud of what he did. 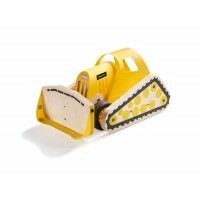 It is so worth the minimal cost with the amount of self gratification along with all the whoopla we created!!! 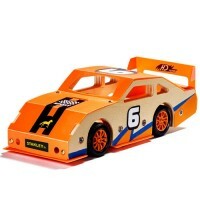 My grandson is 5yrs old.